Threads – Thankfully we have seen a little bit of sun so this month my legs have been able to make an appearance and get a bit of colour in them at last! I really don’t like my legs and so as much as I would like to parade around in short, shorts these days you are more likely to find me in a pair of crops or my Chino Shorts from Superdry. I love everything about these and they’re so comfortable & flattering they’re perfect for those oh so hot and slighly sticky days. 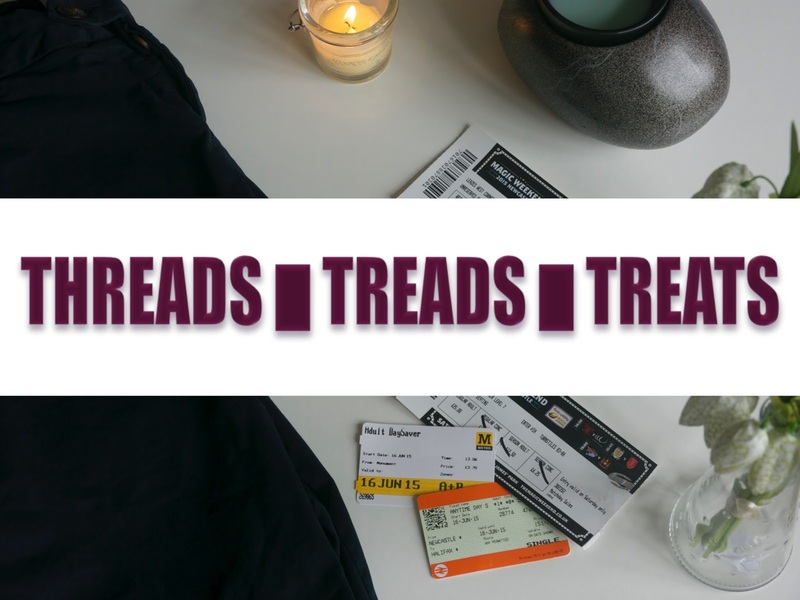 Treads – I’ve been North twice this month! I headed up to Newcastle for the Magic Weekend (ok yes that was the last weekend of may but technically that was after I last did one of these posts) and also for a few days last week where I got to grips with the city’s shopping scene, took in an evening at The Botanist and looked around for somewhere to live when I finally get up there. I have fallen in love with the city, it is so pleasant, gorgeous architecture, cultural and so close to the coast! The sound of Seagull’s seems strange to me because I only hear at the seaside but it’s so nice. Treats – This is my Scentsy Zen Rock wax burner. I love having candles lit and my various wax burners but I go through so many candles. This beauty from Scentsy is one that you plug into the mains so there is no candle involved and the wax is melted via a heated platform beneath the holder. I have mine on a timer so that when I get in on a night the house smells gorgeous and my favourite scent so far is definitely Bonfire Beach which smells just like toasted marshmallows!